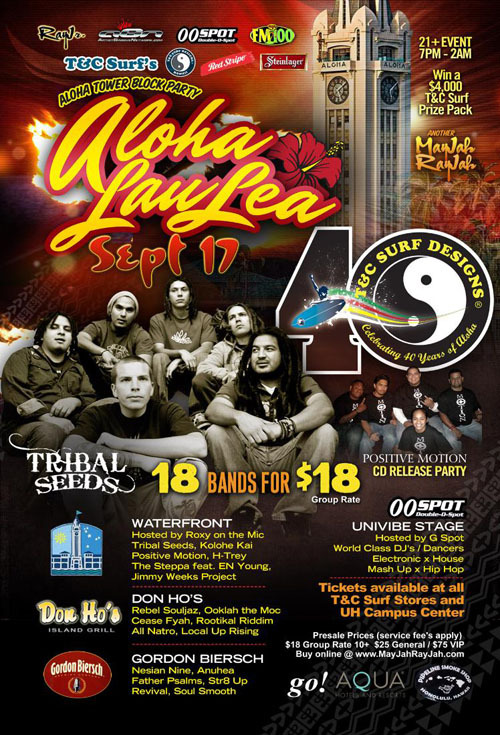 Hawaii’s Largest Island/Reggae/Electronic Musical Block Party returns to Aloha Tower Market Place for another MayJah RayJah! Island Summer Massive 2011 featuring Hot Rain, Siaosi, Na Drua, Maoli, Nesian N.I.N.E., Fiji, and Three Houses Down. What a night! Singers, musicians, artist, and people from all over Polynesia gathered Friday, August 26, 2011 in Honolulu to unite for the love of music and aloha. A true gathering of those who appreciate and celebrate the great talent and music that comes from the islands. Hawaii Music veteran, FIJI has joined the lineup for the upcoming Island Summer Massive Concert, this Friday at the Waterfront. 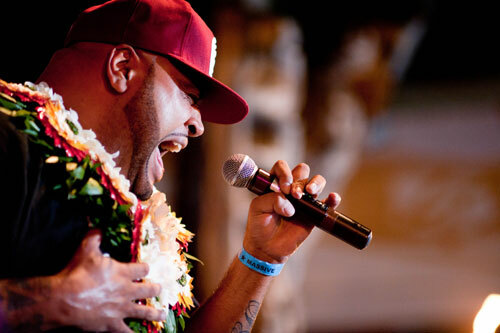 FIJI, born as George Veikoso, is known as one of the most gifted and versatile vocal talents in Hawaii. FIJI fuses elements of classic reggae, Hip-Hop, R & B and Jazz with his own brand of Island style, making him an easily recognizable voice in Polynesian music. FIJI will perform alongside Reggae heavyweights Three Houses Down, Maoli, Nesian Nine, Na Drua, Siaosi and Hot Rain at this summer’s hottest concert.